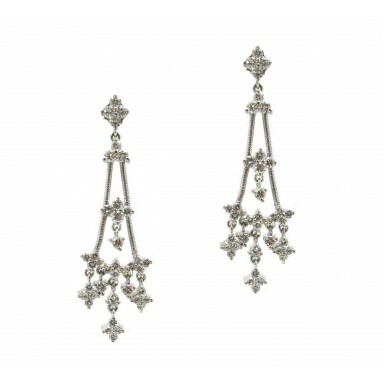 These magnificent hanging diamond earrings are expertly designed and manufactured to create a b.. 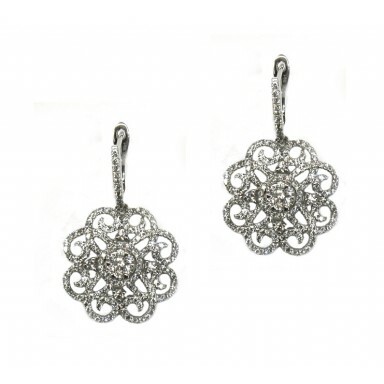 These gorgeous hanging earrings suspend flower like diamonds. A beautiful complement to any outfit. .. 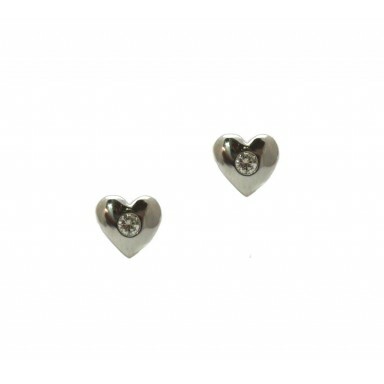 These fun heart earrings feature 10pt diamonds burnished into the center of the heart. Makes a perfe.. 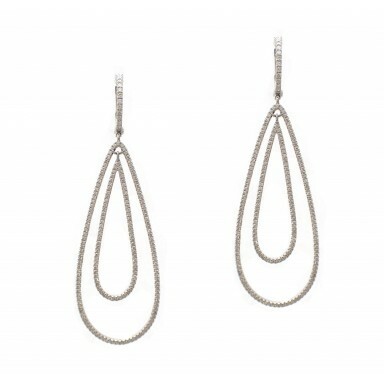 This magnificent pair of hanging earrings is a prime example of Jose Hess’ masterful designs. Diamon.. 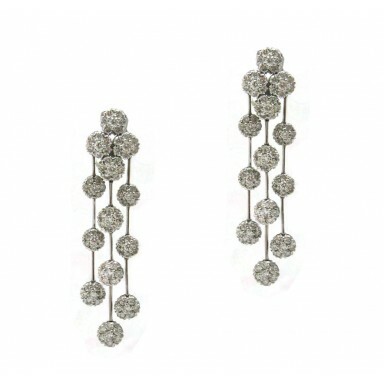 These earrings are from the world renowned designer Jose Hess. Five round brilliant diamonds ar.. These magnificent earrings have intricately designed petals emanating from a central core of round d.. 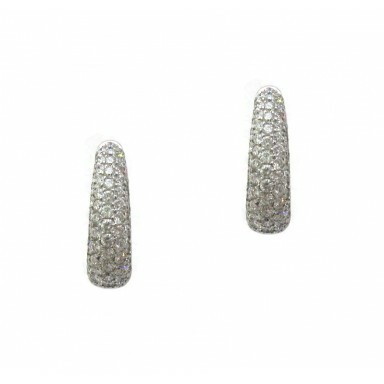 These earrings use a combination of brilliant and rose cut pavé set diamonds to create an irridescen.. 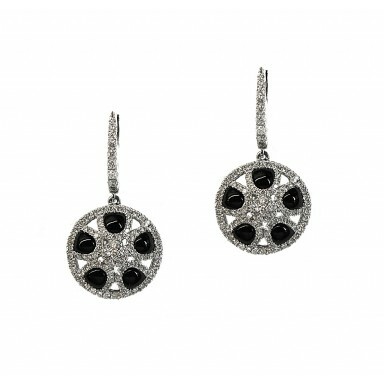 This pair of diamond earrings feature highlights of black onyx. The juxtaposition of black onyx.. 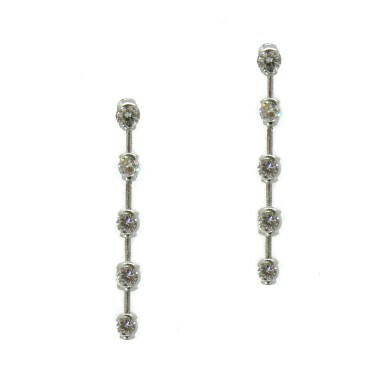 These pave set diamond hoops, feature diamonds on both the front and back sections. They are a .. 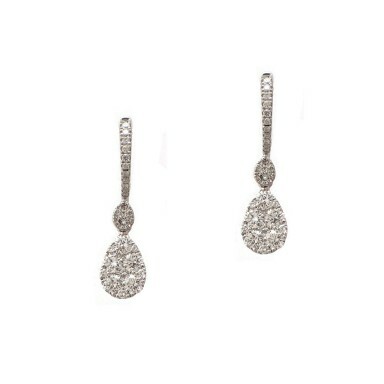 These exciting hanging earrings feature dangling pear shaped drops suspended from diamond ..
At 3 inches long, these earrings will make a bold statement. Fun, fashionable, and elegante, these e.. 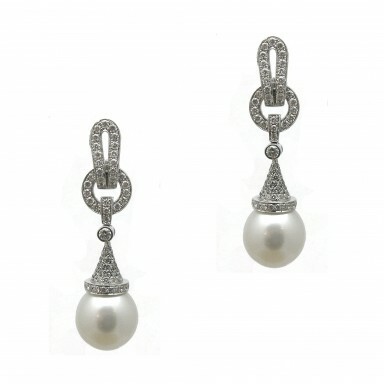 This piece is a perfect contemporary design for pearls. 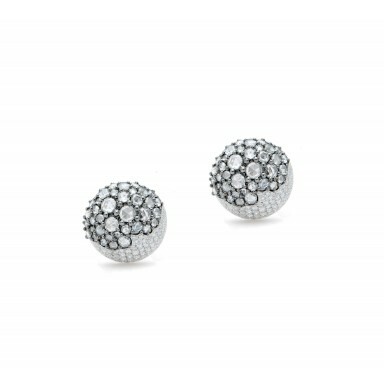 These earrings, which are sure to stand out .. These sweet princess cut stud earrings make the perfect gift for entry into the world of diamond stu.. 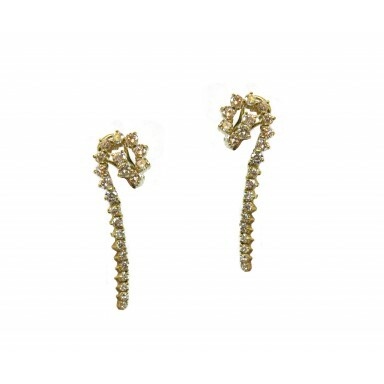 These yellow gold hanging earrings made by New York City designer Jose Hess display beautiful diamon.. 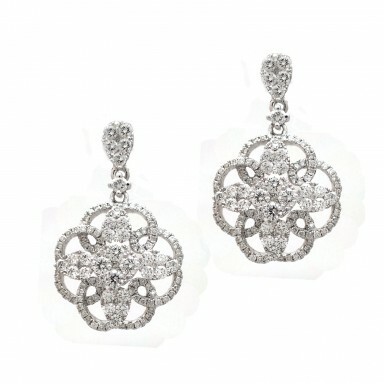 The open filigree pattern on these diamond earrings resembles a blossoming flower, giving them a lig..